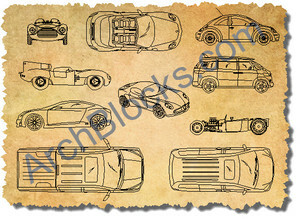 CAD Blocks and Symbols of Cars and Trucks. 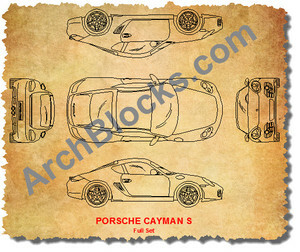 Very nice selection of AutoCAD blocks of cars, CAD blocks of trucks, and AutoCAD vehicles in AutoCAD .DWG format. You'll find CAD drawn sports cars, hot rods, luxury cars, pickup trucks, CAD vintage race cars, mini vans, and AutoCAD SUV's. 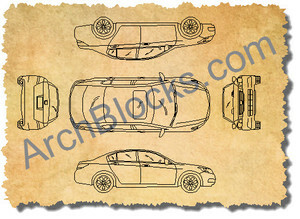 If you need orthographic layouts showing all sides including top, both left and right sides, front and rear views, and isometric views, we have them for both sedans and sports cars.